There’s almost always a character in a movie or television show that is frumpy, homely, or straight up ugly. These characters become ingrained in our minds in the way they are presented. But when the makeup and costumes come off, these actresses turn out to be a sight for sore eyes. Here is a list of beautiful actresses who have played “ugly” characters. 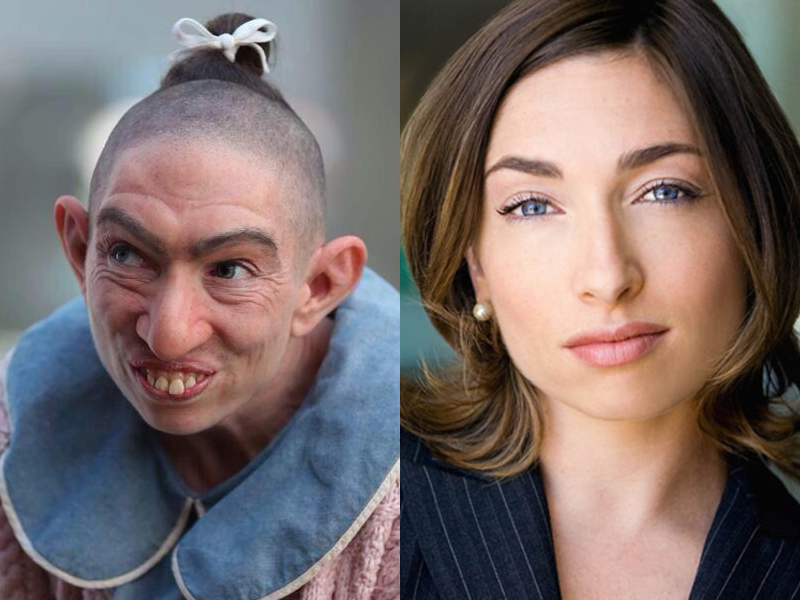 Actress Naomi Grossman is best known for her role as Pepper in seasons 2 and 4 of FX’s American Horror Story, being the first character to appear in more than one season of the show. Pepper is a microcephalic who gets placed into a mental asylum after being accused of murdering her sister’s baby in American Horror Story: Asylum. She makes a second appearance in American Horror Story: Freak Show as a performer in the season’s sideshow. Grossman shaved her head bald to play Pepper, a role she did not know she was auditioning for. Her role as Pepper is her biggest one to date, although she has acted in small roles in different movies and shows.